The following information is presented for new students and continuing majors to help navigate the requirements of the program of study in art history and in historic preservation & community planning. Included are faculty contacts, summaries of the majors, tips for students, forms, and much of what you need to know to successfully complete your degree. If you have any questions concerning the art history major, student scholarships, employment opportunities, or the curriculum, please seek out a faculty member for assistance, or come to the main departmental office at 301 Simons Fine Arts Center. Historic Preservation majors should go to the Cameron House at 12 Bull Street for assistance. Courses should not be taken in strictly sequential order. Many 100 and 200 level courses have no prerequisites. Students are encouraged to take a combination of 100, 200 and 300 level courses throughout their time in the major. Please refer to the specifics of the major academic requirements sheets for the details about which classes are required, and in what order. This course is a requirement for all art history majors, and should be taken in the sophomore or junior year, at the latest. It must be taken before ARTH 415. Seniors are blocked from registering for the course without permission from the Chair, and permission will require special circumstances. Note that ARTH 299 and HPCP 299 ARE NOT THE SAME CLASS. Any HPCP student who adds the major in ARTH must take ARTH 299 immediately upon declaring the double major. Students will not be able to register for the course in their senior year. The 415 class is the culminating senior seminar course for all majors. The topic of each seminar will change, as the course rotates among the faculty every semester. Students can take the course in any semester once they have attained senior standing. Double majors should take either ARTH 415 or HPCP 415. Honors students contract individually with a faculty member to write their senior honor’s thesis, and this is accepted as the equivalent of 415. Internships provide students with exposure to the working world, giving them the opportunity to transfer classroom knowledge to work experience. Internships are required for Historic Preservation and Community Planning majors and are an elective for Art History majors. A student is required to work 140 hours to earn 3 credit hours with most internships being unpaid. Internships are offered by, but not limited to, various art galleries, businesses, government (planning) agencies, historic sites, museums, and preservation agencies within the Charleston area. Internships may also be taken for credit at locations outside of Charleston during Maymester of Summer semesters with the payment of Maymester or Summer tuition. Notice of specific internships is posted on the bulletin board in the entry hall of the Cameron House, 12 Bull Street. The Internship Coordinator, Diane Miller, maintains a master list of employers, processes approves/paperwork and is available to advise students as needed. 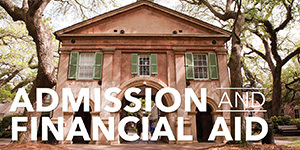 Inquiries may be made at the HPCP office in 12 Bull Street, by telephone at 843-953-3888 or by email at millerdj@cofc.edu. Writing well is a critical skill for all of our majors. Students who would like help with their writing can visit the Center for Student Learning Writing Lab, and should use the resources available on-line through the College of Charleston Library. It is mandatory for all declared majors to be advised every semester by their advisor in the department. An advisor will be assigned when the declaration of major form is completed. There will be a hold on your records until you are advised, every semester. It is important to learn how to manage your own progress toward graduation through the degree audit function in Cougar Trail, because successfully graduating is ultimately each student’s own responsibility. The department holds advising sessions each semester. Watch bulletin boards for official departmental advising dates. Sign up sheets will be placed on each faculty office door. Make sure you schedule an appointment with your adviser at least a week before you are scheduled to register, and come prepared with a copy of your degree audit from Cougar Trail, and a list of the courses you are intending to take. Talk to your adviser about resources for possible career choices, internships, grad schools etc. We are here to help! Ask questions. Career Services is an important resource as you near graduation. They can help you with writing a resume, learning interviewing techniques, and putting together a packet that will include letters of reference. You may need to request letters of reference from faculty members in your major. It is best to request letters from faculty who know you and your work. It is best to allow faculty at least two weeks to prepare a letter, so plan ahead, and provide all the needed information for the position or graduate school to which you are applying. You should know that non-confidential letters may not have as much impact as confidential ones. There are a number of positions in the Department each semester for student employment in the Art History Slide Collection - both Work Study and Non Work Study. 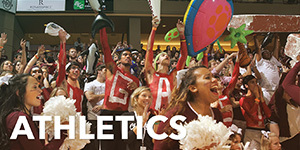 Please contact Sherry Wallace in room 306 or email wallaces@cofc.edu. The Administrative Office also hires student help during regular semesters. Please see Ms. Wilson in room 301. Applications for Work Study positions may be obtained from the Office of Financial Assistance and Veterans Affairs. These scholarships require a minimum overall 3.00 GPA. This is a tuition scholarship based on merit, and requires a GPA of 3.0 or above. It is awarded at the beginning of the School year to a rising junior or above, concentrating in Art History or Historic Preservation. It is renewable for 4 years. The Albert Simons Scholarship is offered to an outstanding major with an interest in either architectural history or historic preservation. Awarded each Spring Semester for travel/study abroad, usually during Maymester and Summer for Art History and HPCP Majors. This scholarship is awarded to a rising junior or senior concentrating in Historic Preservation and community Planning. This scholarship established by the friends and family of Elizabeth Anne Eady a former student of the College of Charleston, in celebration of the life of an extraordinary young woman. Because her own travels and study in Europe was so important to Liz, the scholarship is designed to help other students have a similar educational and cultural experience. AWARDED EACH SPRING FOR TRAVEL DURING MAYMESTER THROUGH SUMMER. Each semester, distinguished lecturers are invited to the School of the Arts to address our students. Lectures are free and held in the Simons Center for the Arts. Please watch the bulletin board on the third floor for upcoming Art History and Historic Preservation lectures or click here for more information. Also check the School of the Arts Calendar of Events for upcoming lectures. 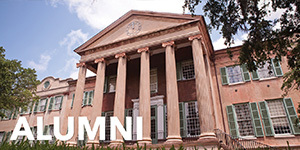 The Archaeological Institute of America lecture series has its home in South Carolina in the Art History department, and the Historic Preservation program presents a lecture series every year. The Halsey Gallery Institute of Contemporary Art and the Studio Art department also sponsor visiting artist lectures throughout the year. productions which offer students free or reduced tickets, visit exhibitions at the Halsey Institute for Contemporary Art and at other galleries and museums in Charleston, and there are a wealth of historical sites, architectural monuments, and preservation organizations in Charleston that are available for you to explore. Finally, if you are in Charleston in May and June, don’t miss Spoleto Festival USA. TO DECLARE A MAJOR IN ART HISTORY login to in My Charleston. Choose the Academic Services Tab. In center column at the top you will see the link for Program of Study Management (POSM) system. Open this link and select declare major, then select the subject to declare. Students may select courses to fit interests. any other 9 hours with at least 6 at or above the 300 level. TO DECLARE A MINOR IN ART HISTORY login to in My Charleston. Choose the Academic Services Tab. In center column at the top you will see the link for Program of Study Management (POSM) system. Open this link and select declare minor, then select the subject to declare. The Historic Preservation and Community Planning (HPCP) Program is an interdisciplinary program that spans a number of disciplines and two Schools at the College, but is housed in the Art History Department. This is because of a deeply compatible concern with the actual object: the work of art for art historians, and the building, the object or the environment for preservationists. The HPCP program also has the great advantage – for a preservation program – of being located in Charleston, a city of surpassing physical beauty as well as a place that has a long and successful tradition of preservation. HPCP students can take advantage of the numerous study opportunities the city of Charleston offers, whether from the point of view of architecture, preservation or urban planning. Their first-hand study of the city and surrounding region is supplemented with exceptional teaching of art, architectural and landscape history, history, urban policy and planning, and design. Because of the close structural relationship between Art History and HPCP, it is very easy for students to double major in these two fields. The goal of the HPCP program is to graduate students with an awareness of and appreciation for the built environment and the effects humans have had on it. To understand the value that age can add to objects and to know something of the way that old things can continue to serve and add richness to the human experience of living in the world. The Historic Preservation Club is open to any student interested in preservation issues and community involvement. The Club provides opportunities to learn about historic preservation on a local, national, and international level through lectures, guest speakers, community service, and attending special events. The Club is committed to helping Charleston community organizations, whether through manual labor or fundraising. In the spring of 2007 and 2008, the club hosted benefit galas for Memorial Hall and the Philip Simmons Foundation respectively. The club raised considerable funds for these organizations for the preservation of these historic treasures. For the Spring of 2009, the Historic Preservation Club has chosen to benefit the Florence Crittenton Home, a place that supports young, pregnant girls in need. If you are interested in joining this club, please call the Historic Preservation Office at 843-953-8285. During the fall and spring semesters, the Historic Preservation and Community Planning Program hosts monthly meet and greet events in which students and faculty can get to know one another in a relaxed, casual setting. The Caroline and Albert Simons, Jr. Center for Historic Preservation housed in the Cameron House at 12 Bull Street provides the perfect place for sharing food, fun, and conversation. 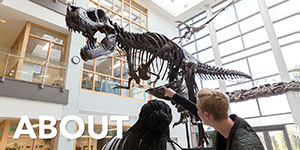 Students looking for a major can learn about the Program; declared majors have the opportunity to inquire about undergraduate internship opportunities or discuss graduate school options. Or, academics can take a back seat and students can relax while discussing the latest basketball victory. 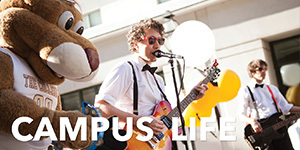 The Meet and Greet events allow students to establish friendships and relationships with both their peers and professors that they will carry with them beyond their years at the College. TO DECLARE A MAJOR login to in My Charleston. Choose the Academic Services Tab. In center column at the top you will see the link for Program of Study Management (POSM) system. Open this link and select declare major, then select the subject to declare. TO DECLARE A MINOR login to in My Charleston. Choose the Academic Services Tab. In center column at the top you will see the link for Program of Study Management (POSM) system. Open this link and select declare minor, then select the subject to declare. At least nine hours in the minor at the 200 level or above must be earned at the College of Charleston. Special topics in art history, history, political science, urban studies (could include, for example, the Addlestone seminars in the art history department, or Victorian Charleston, offered by the history department, or a course like Land Use Law, offered by the Urban Studies Program). TO DECLARE A DOUBLE MAJOR login to in My Charleston. 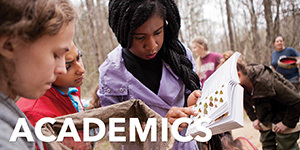 Choose the Academic Services Tab. In center column at the top you will see the link for Program of Study Management (POSM) system. Open this link and select declare major, then select the subject to declare. 3 Hrs Category A; 3 Hrs Category B; and 3 Hrs Category C.
SIX (6) hours of Studio Art courses from list ‘A’ ; OR three (3) hours MAY be satisfied with one of the Historic Preservation studio intensive courses listed under ‘B’.